Hello my name is Roy Lang I live in San Jose Costa Rica. I provide a service in Central and South America as a tour guide, personal translator, personal assistant. 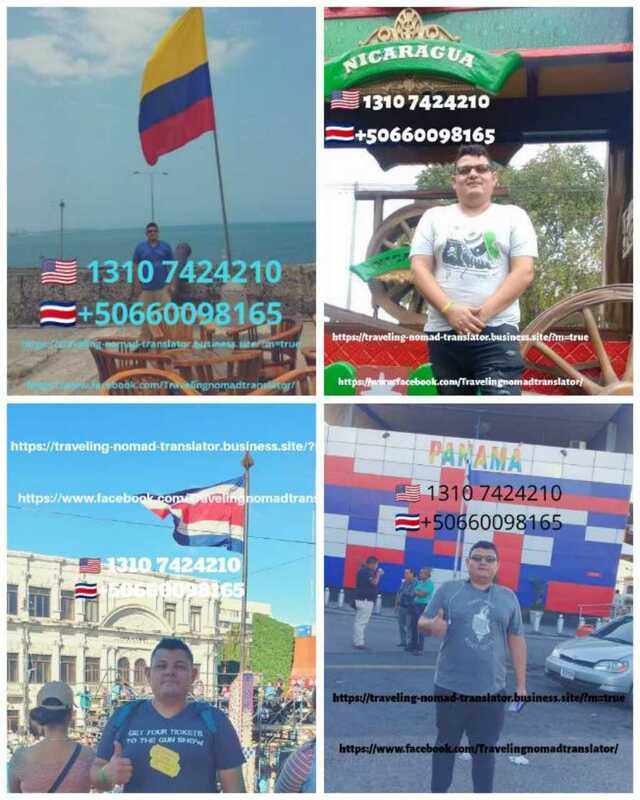 I travel to these countries, I also provide this service as a business translator. If you are looking to provide your services in this region in Central and South America we can work together and create a network. I speak English, Spanish, Portuguese, French, Italian. if you're interested please go ahead and contact me so I can provide you more details and information for my prior clients and resume and other details. If you have any clients who need translating in Costa Rica / Panama Nicaragua / El Salvador /Honduras /Guatemala/ Belize/ Mexico/ Columbia. Review my information so you can see I'm qualified. Customer packages for Central America tourism and South America tourism. For more information please contact me.